Through a single user interface, you can now chat with your students no matter which channel they choose to communicate with you on. Live chat systems are great, but we think customers should be able to choose how to talk to you rather than being forced to do it through your website. 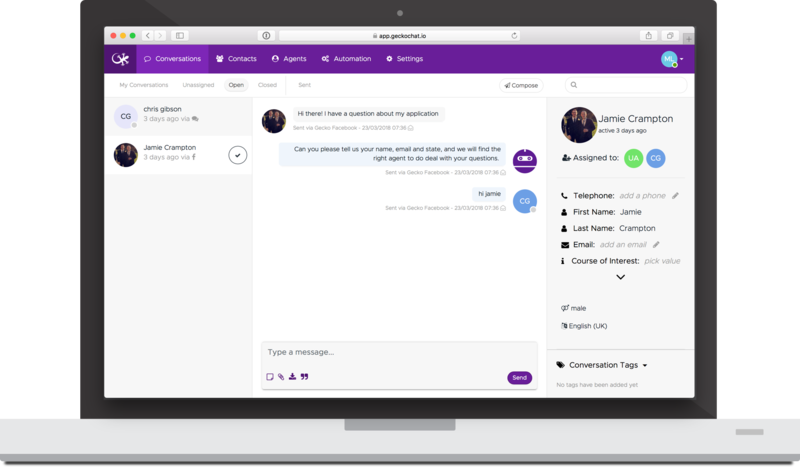 We'll link the different channels together so that you can see conversations with a contact across all channels in a single place, and easily use those to send messages out to them.